From F/W11 collection, the 3.1 Phillip Lim’s Pashli Satchel is under the fashion radars. It is incredibly handsome, a gorgeous all leather bag that comes with short handles, expandable sides, a front flap that ends in a gold-tone clasp and a perfect palette of leathers combine to make it uber covetable. 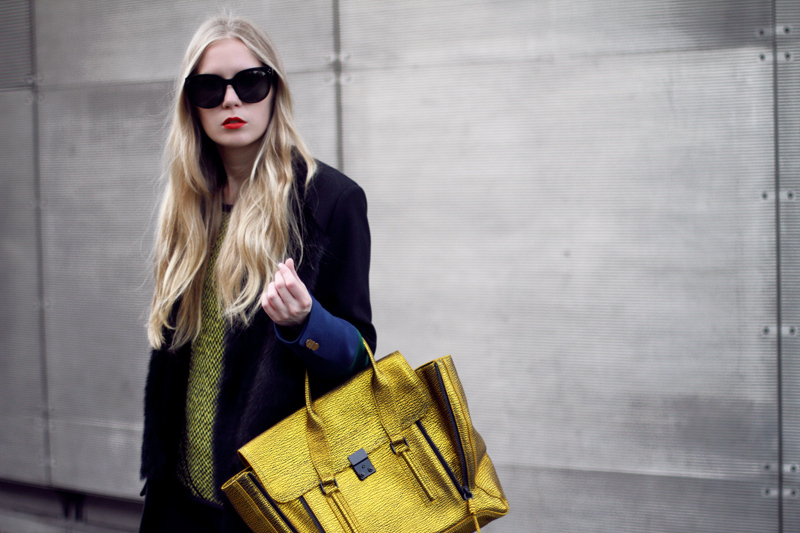 "The Pashli is cool, easy and chic," Phillip Lim told. 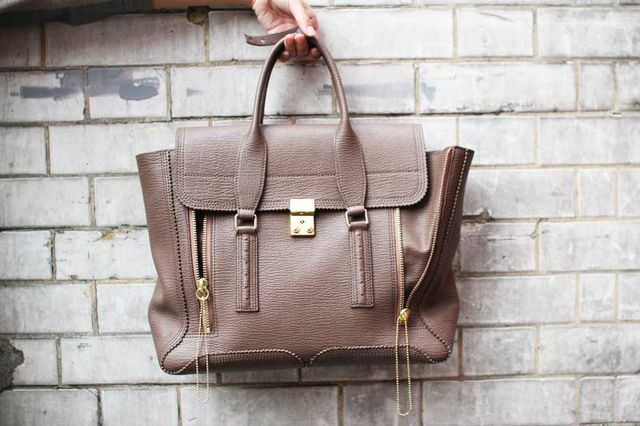 "The perfect bag for the Phillip Lim girl." The Pashli was initially inspired by the pragmatic design of motorcycle bags, where every detail served a function. "It goes back to the lifestyle of the Phillip Lim girl," explains the designer. "She is a working girl, she is real she wears things from day to night from day to day. 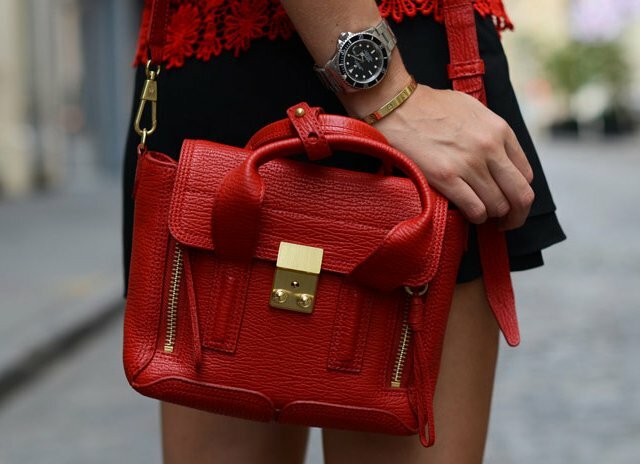 For me it is really important for the bag to work for the wearer and not the other way round." Pashli satchel features a push-lock flap and zip gussets at the front, provide essentially two looks to one bag with ball-chain pulls at zips. Pinked edges and gold hardware. Button-tab secures rolled handles, which feature a 5" (8 cm) drop for the medium sized satchel. Lined interior features a single patch pocket. The medium size is large enough for most tablets and small laptops, as well as all of your other everyday essentials. The mini satchels features a removable, crossbody strap as well. Comes in a variety of colors and materials. Hardware comes in gold, silver and gunmetal. In the world of designer handbags, anything less than $1,000 is considered a steal. It's currently sitting in a sweet little spot of it's own. It might be owned by a handful of cool kids already, but that doesn't mean you shouldn't get one if the Pashli speaks to you as well. Phillip Lim’s Pashli is all about functionality, mostly with the bike-riding girl in mind. I could see this sleek, crinkled leather satchel swinging from the handlebars of a chic urbanite’s bicycle as she rides to work. The bag is big enough to fit all of your everyday essentials, much like the Celine bag that has become a staple in editors’ wardrobes—but with a slightly more feasible price tag. 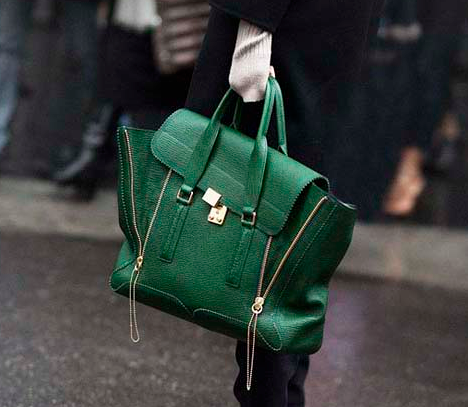 I'm so crazy about that bag! These bags are amazing! Also on my wish list! i'm so in love with this bag!! the shape and the design are top! Perfect bags. I love the classic black! 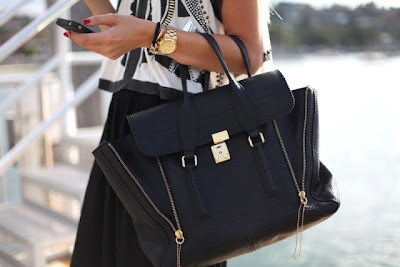 I love this bag, it looks so classy, but at the same time so modern! 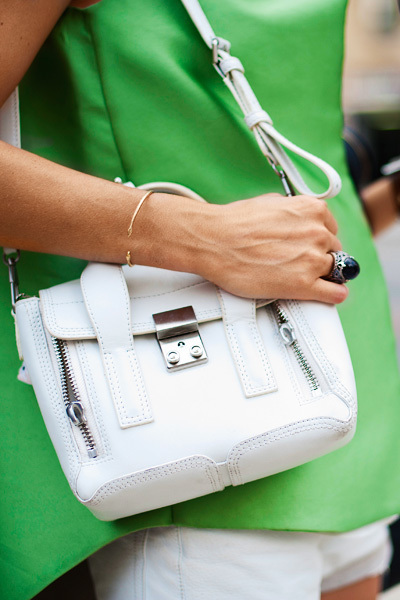 Love the Pashli satchel - the white and green ones are my favourites. What an informative blog! Ugh, I literally want every bag here. They're alllll SO gorgeous. Thanks for sharing all of these! great post, I love these bags! i must say im loving these style bags, they look awesome in photos! Seriously you don't know how much I love this bag!! Thanks for visiting my blog..yours is so so interesting! Hi! Thank you for visiting my blog.. Following you now! :) Kisses from VV!! Thanks for visiting my blog! I'm in love with Lim's Pashli Satchel! :D I want a black one to call my own! It's classy and versatile! Me encantan!! los tendria todos!! I drooled through this ENTIRE post. So gorgeous. 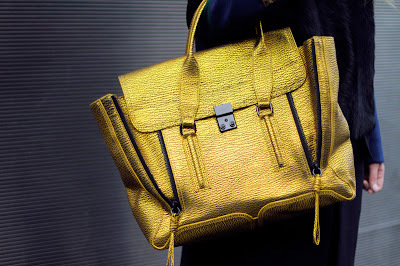 I love the gold satchel!! Great post, would you like to follow each other?